We are celebrating after scooping two awards at the Association of Translation Companies’ (ATC) 2016 Language Industry Summit Awards. 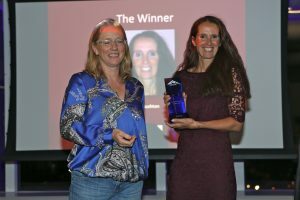 One of our long-serving and dedicated freelance translators, Vicki Rushton, was announced as the winner in the Freelance Supplier of the Year category, beating off stiff competition from two other national finalists. Meanwhile, our Director Isabella Moore received the very first Eichner Distinguished Service Award, designed to recognise a lifetime’s contribution to the language industry. 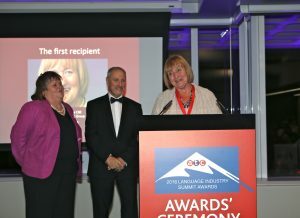 Commenting on her award win Isabella said: “I have lived and breathed the language industry for many years and being chosen as the recipient of this very prestigious award has to rank as one of my proudest moments. Designed to celebrate success in the sector, with nominees being recognised by the judges for their commitment to excellence, Vicki was selected for her commitment to client satisfaction and in depth sector knowledge. This year’s judging panel comprised Rudy Tirry, President of the European Union of Associations of Translation Companies, Sarah Griffin-Mason, Chair of the Institute of Translation & Interpreting, Laura Brandon, Executive Director of the Globalization and Localization Association and Geoffrey Bowden, General Secretary for the ATC, who was the non-voting chair of the judging panel. ATC General Secretary Geoffrey, said: “The nominations were assessed using robust judging criteria to recognise the broad range of talent within the industry. These awards mark a second year of success for Comtec at the ATC Language Industry Summit Awards. In 2015, our hardworking project managers won the Project Management Team of the Year award thanks to their commitment to delivering excellent results to our clients. What’s more, another of our top freelancers, Karen Lühning, was awarded the Freelance Supplier of the Year prize that year. 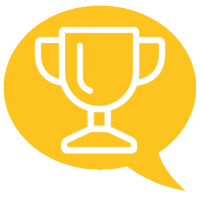 We are over the moon that the contributions and hard work of our linguists and our team has been recognised at national level and look forward to continuing to deliver a top-quality service for many years to come.